Hello everyone, today I'm sharing a Mother's Day Card I created using all CottageCutz Beautiful Dies!!! In this photo, I created my CottageCutz Zinnia Flowers with the plum design paper, it has a faint writing on it, next I distressed each and every layer with Dusty Concord Distressed Inks. For the leaves I used a green design paper with faint writing on it as well, and did the same but used peeled paint distressed ink to get the look I achieved. Lastly for the centers I used Viva Pearl Pen to create Pearls for the centers. 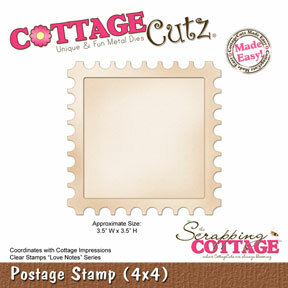 On the CottageCutz Postage Stamp Die I used white Card Stock and distressed it with Antique Linen Distressed ink. I then stamped ODBD Stamps in memento black ink. 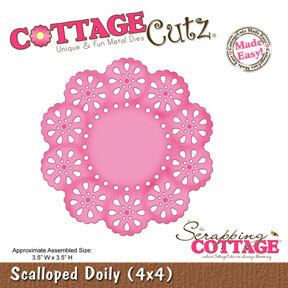 For behind the Postage Stamp I used the CottageCutz Scalloped Doily but cut it in half to make a piece for the top and the bottom. I love the look it gives!! Your card is SO BEAUTIFUL, Cheryl! I love the colors and the layout of the card. 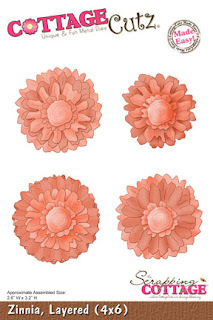 And also your Zinnia flowers are GORGEOUS! I bought this die recently and I am hoping to make as beautiful zinnia flowers as yours are... :). Cheryl, this is gorgeous. I love the colour and the whole card. Beautiful. That's just gorgeous Cheryl. Your flowers look so yummy. They are nice a full and wonderful color. Beautiful as always and a treat to behold! Beautiful Mom card!!! Love the color of flowers! Great job! Cheryl, your card is beautiful, love the colors and the gorgeous flowers. hugs, Frances.